This is like making a big, delicious meatball for dinner. 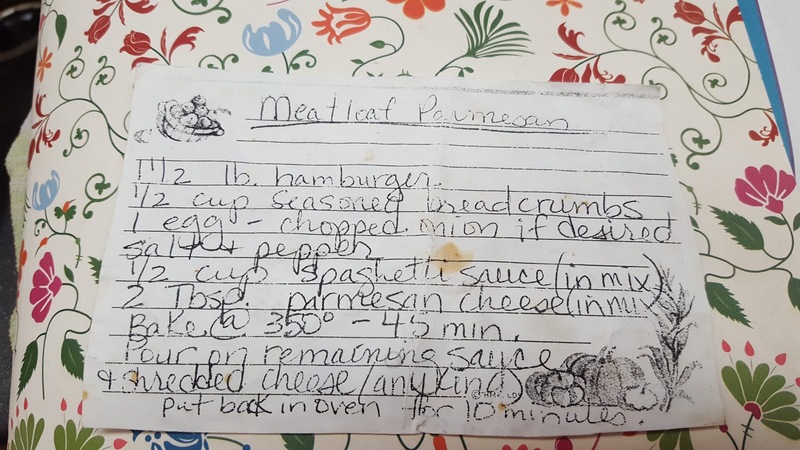 And you know it has to be good when it comes from a handwritten recipe with a sauce stain on it. Takes me back to memories of my Mom's recipe box. 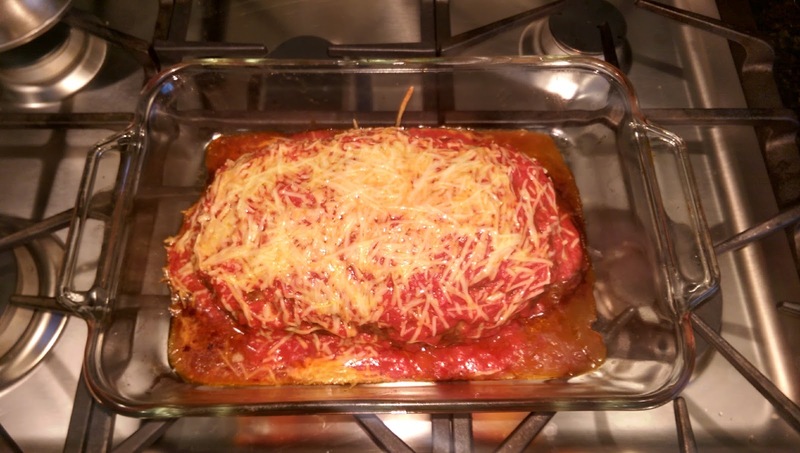 Big shout out to Mandi T for this recipe!